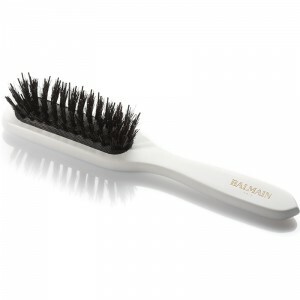 Small handmade boar hair brush. 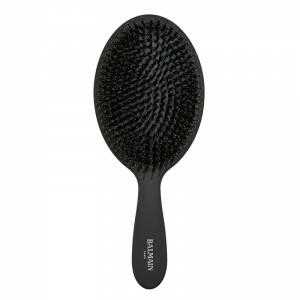 The unique structure of the boar bristles carries the hair’s natural oils from the scalp to the end of the hair shaft. 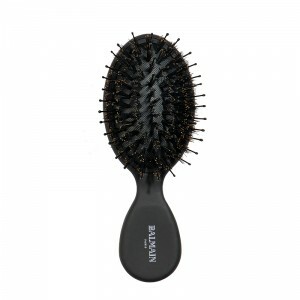 By coating each strand with a very small amount of sebum, the brush repairs dry hair and adds lustrous shine without using styling products. 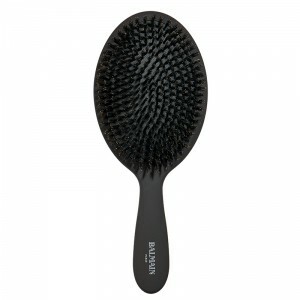 Regular brushing stimulates the scalp and increases the blood circulation to the hair follicles.